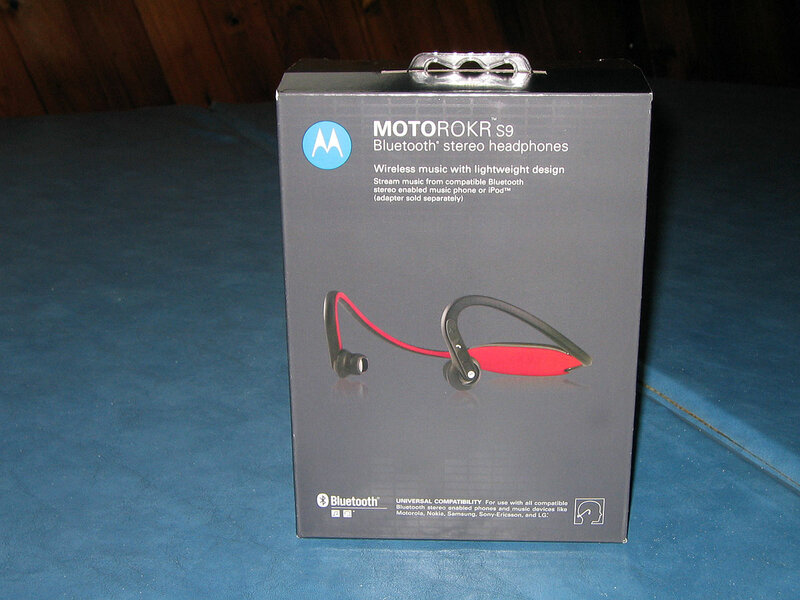 The Motorola S9s are geared towards active BlackBerry and Bluetooth device users. Providing lightweight, water and sweat resistant technology that allow you to use your BlackBerry, or any other Bluetooth device for that matter with ease without getting tangled in cords. Trying to run on a treadmill at the gym with regular ear bud corded headphones can get quite annoying at times. Perhaps it’s the fact that the cord is not long enough to be able to place your device on the treadmill and run freely without the cord getting in the way every time you take a stride. The technology is here, so going cordless seems like the perfect fit. 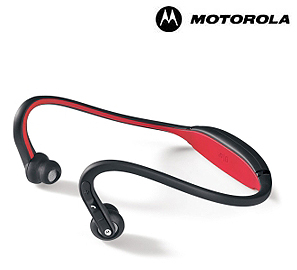 At $74.95 the Motorola S9s come priced comparable to other headsets on the market (slightly under), such as the Samsung SBH170 which are available for $89.95 and are slightly less expensive than the Sony Ericsson HBH-DS970 which are $119.99. 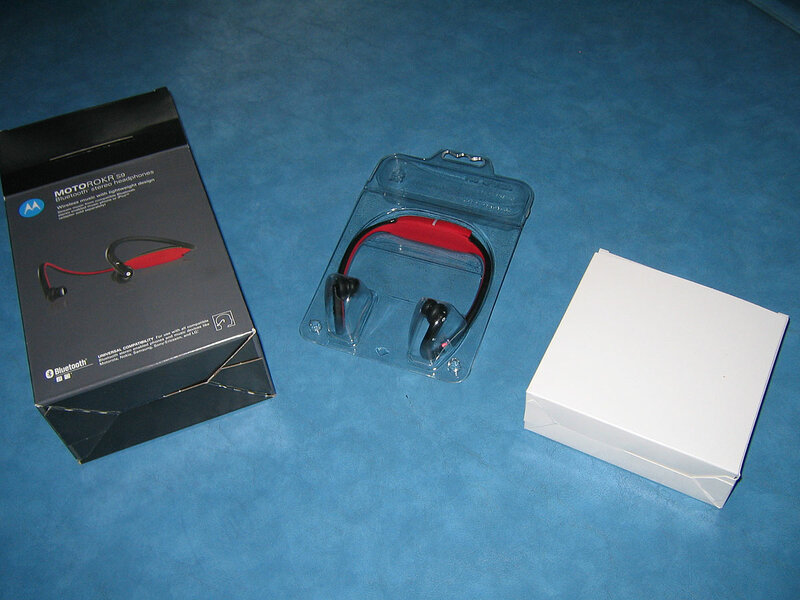 The S9s comes in a simple box, nothing flashy like some of the museum glass case headset setups I’ve seen some of the recently-reviewed Bluetooth headsets come in. Which is fine, you’re not buying the box, but what’s inside. It’s a simple to open box, no need to rip or cut anything up to get to the goods. Once you open up the box you see the nice two tone red and black headset. Picking it up you instantly notice the fact it weighs barely one ounce. Also in the box come two other interchangeable ear bud sets allowing you to find the perfect fit for comfort. Lastly, you also get standard instruction booklets and a wall charger to give your headset juice. The S9s do not come pre-charged out of the box, so you will need to charge them before use. 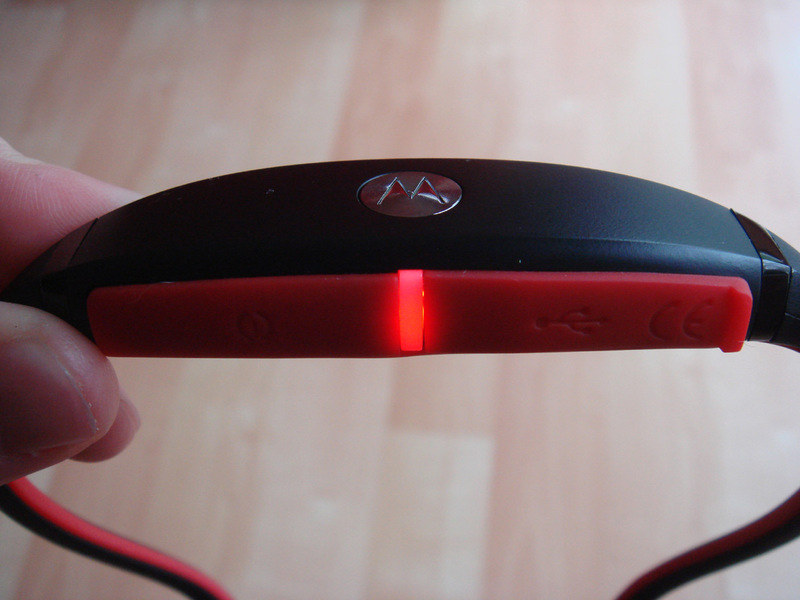 Plugging the headset in will reveal a red light which indicates the battery level is below 25%. Once the battery is charged above 25% the light turns to orange. Finally, once the battery is fully charged you get the green light meaning you are good to go. Full charging time is noted to be about 2 hours by Motorola. 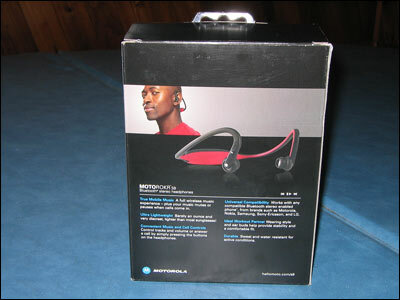 Setting up the Motorola S9 headset was incredible easy, even for a fairly new CrackBerry like me. Simply turn on the headset by holding the power button that’s on the back. 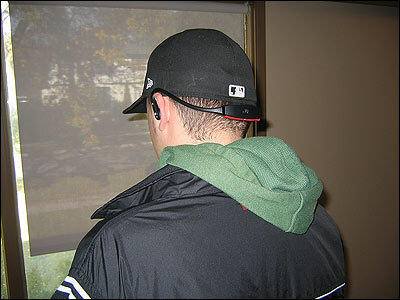 You will hear a pleasant low key beep and a blue light indicating the headset is on and active will appear. Scroll over to the Set Up Bluetooth icon on your BlackBerry’s desktop and click ok to the “Please ensure your Bluetooth device is in pairing mode” prompt that pops up. Once your BlackBerry finds the S9s and the connect button is clicked, it will ask you for the passkey. Enter the standard 0000 and you’re all done - your BlackBerry should now be paired with the headset! While pairing the device to a BlackBerry Curve, BlackBerry Pearl and BlackBerry 8830 worked flawlessly each time, I did have some problems connecting the S9’s to a PlayStation 3. The gaming system did find and recognize the S9’s but for some reason would not pair with them. I tried to do some research but could only find others asking the question whether they would work or not before they buy them. So although I’m sure the majority of you reading this review would use the Motorola S9’s with your BlackBerry, I would research the specific non-BlackBerry Bluetooth devices you may also want to use the S9s with for compatibility first. Now for the downside of the Motorola S9s. 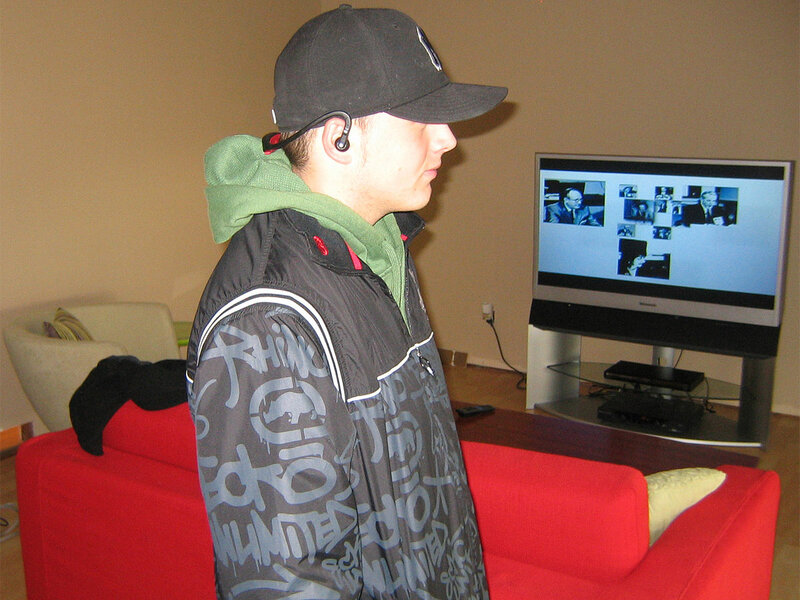 In order to listen to streaming music through the headphones, A2DP support is required on the handheld. At the time of this writing, that means only the BlackBerry Curve can realize the full potential of the S9s. While other BlackBerrys can still pair with the S9s for use as a regular Bluetooth headset, only the Curve can listen to music. Putting on the S9 headset feels a bit awkward at first; it actually brought back memories of playing with a stethoscope as a child. 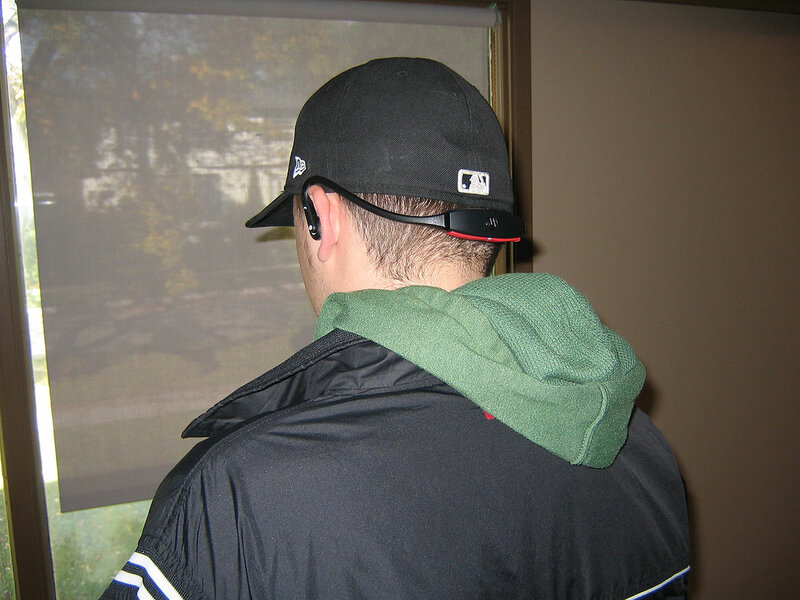 Getting the headset on with ease takes some practice, but once they are in place the S9 headset does a great job of staying there, even as you run around. They also did not seem like the most comfortable headphones to wear at first, but I honestly caught myself forgetting about them on my head, and in my books that really points out their efficiency at being discrete and comfortable. Motorola did a great job on designing the headset. I leant the headset out to a few friends, and they all reported back that the S9s were very comfortable to use and wear for long periods of time. The stock mounted ear buds worked great for me, should they not work well for you, included are two other sized ear buds that will hopefully fit you better. 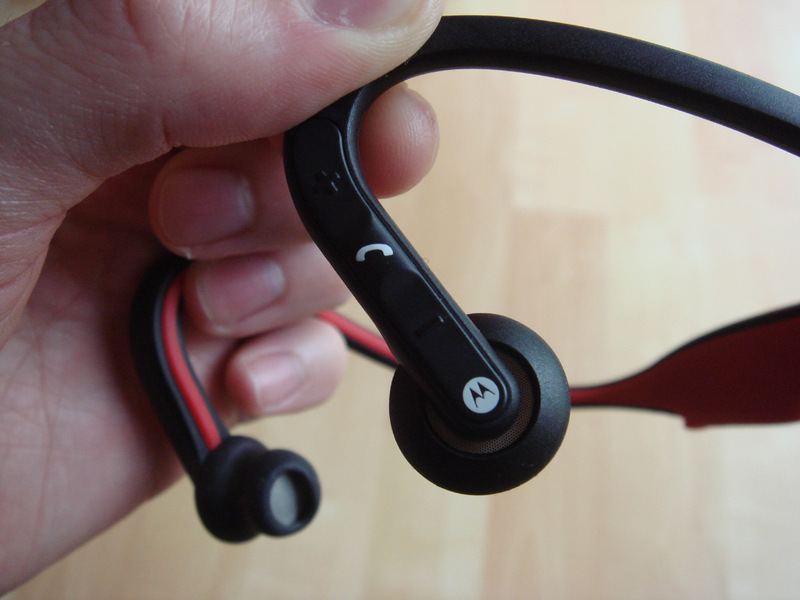 The S9 has user controls just to the side of the earpiece. They are: a music button used to play, pause and stop music, as well as skip to the next or previous music track. There are also volume controls to increase and decrease volume for your music or calls, and a call button used to answer and end calls. It takes a bit of use to memorize the button lay out to execute commands on the fly without thinking, but it isn’t as impossible learning task to achieve. I had to take the headset off a few times to see the buttons because I kept forgetting the layout. Pushing buttons that are on the side of your head is not the simplest thing to do when the buttons are super tiny, but I guess with such a tiny device there aren’t too many great ways to mount buttons on the headset while keeping the device sleek and lightweight. It probably won’t help if you have chubbier fingers. If you’re an old dog that doesn’t like learning new tricks, you may find it easier to change tracks and adjust volume using the BlackBerry, which I found myself doing from time to time. Like most other headsets the S9’s will pause your music when there is a call coming in, and resume music once your call is complete. I LOVE that feature! The headphones also only output sound for calls from the left ear bud, because most headsets are meant for car use, and it would not be a good idea, or even legal to block your hearing from both ears while driving incase there is a emergency vehicle coming. the same cord to charge your S9s as you do your BlackBerry! Motorola claims the battery life of the S9’s to be around 6 hours of music listening, and 7 hours of phone talk time. 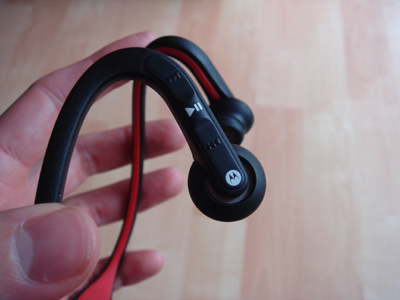 I researched some of the other Bluetooth headphones out on the market right now, and these headphones actually had the worst claimed battery life. Other headsets all ranged between 8-16 hours of music playtime, with most averaging about 12. So sadly, if you are someone who gets to listen to music all day at work, and you work a regular 8 hour shift, you might have to go an hour or two a day without your music. I was actually surprised (very impressed) by the quality of sound from the headset. MP3 files being played from a BlackBerry were loud, and crisp. There was no distortion coming from the S9s when listening to different genres of music (from Hip Hop to Country) at varying volume levels. Even when played at max volume, which is more than loud enough, the S9s held their clarity. Perhaps the shorter battery life (when compared to some of the competition) is the necessary consequence of having excellent sound quality. I also tested out the sound/voice quality on telephone calls, curious to see how clearly individuals on the other end of the line would hear me. With no visible microphone pick-up located near the mouth, I actually didn’t even believe that the S9’s could be used for a phone call. I was wrong! The sound quality I was receiving was crisp and clear, and on the other end not one caller was even able to tell I was using a headset. In addition to sound quality, I was also impressed with the overall construction, design and durability of the Motorola S9s. The headphones themselves felt very firm and solid, and I lugged them around in my laptop bag without any casing or packaging and never worried they would bend or break. The S9’s are a great headset built with outstanding quality. 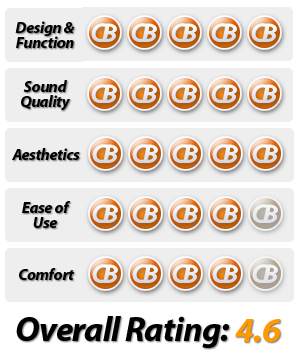 The sound quality took me by surprise, music and voices played loud and crisp without distortion. Although the battery life could still use an hour or two of improvement, overall I would recommend anyone looking for a great headset to consider these. If you are an active individual and want to use your phone at the gym or while working, you won’t be disappointed with the S9s. At $99.95 per unit they are also affordable and priced well against their competition.